Hi all, hope someone can ease my concerns. I'm fitting NSR125 1999-2002 wheels to my project but to do that I need the bearing to measure 20mm i/d to suit the gs1100 axle spindle I will use on the gs1100 swingarm. 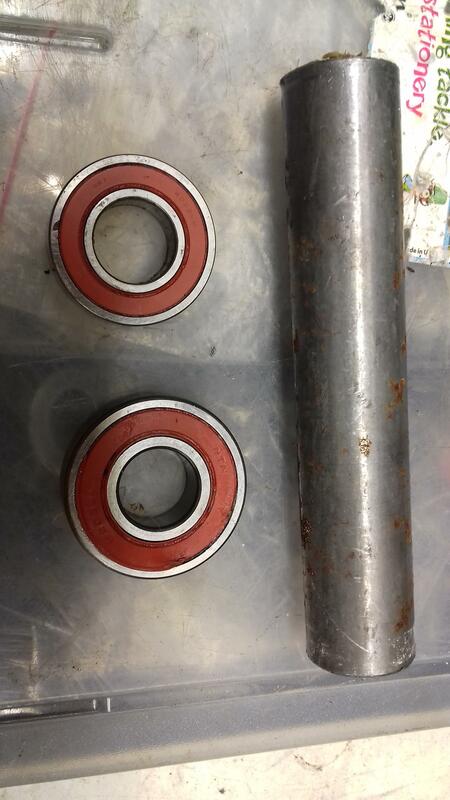 My concern is for the small bearing, I'll need a bearing to measure 35o/dx20i/d-x10w. Do they exist I wonder? Also, will a thinner wall inner spacer work, currently 4mm thin wall, needs to be 2.5mm to make the i/d 20mm.